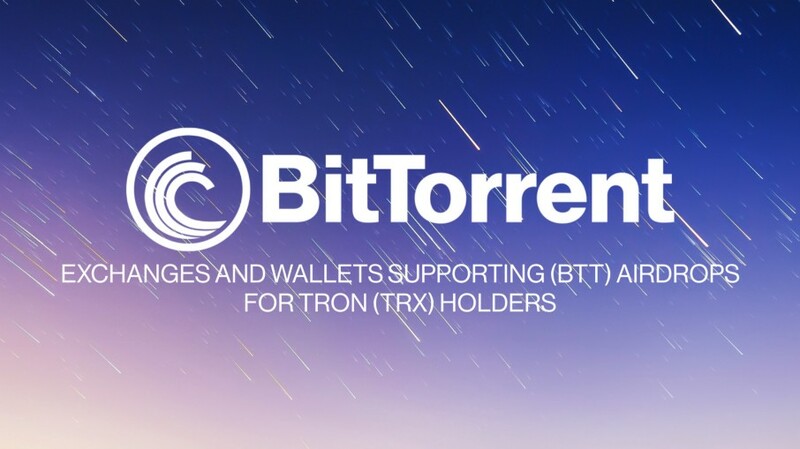 BitTorrent Foundation will initiate its first airdrop of BitTorrent (BTT) to TRON (TRX) holders, first BTT Airdrop on 11 February 2019, corresponding to 1.1% (10,890,000,000) of the total BTT token supply. The snapshot will be taken when TRON’s block height reaches 6.6 million. The ratio of BTT airdrop on Feb 11 is approximately 1 TRX = 0.11 BTT, due to the uncertainty of TRX block rewards and coin burn, the final ratio may be different, the following airdrop ratio will be announced later. Over the next 12 months following this initial airdrop, 11,880,000,000 BTT will be offered to TRX holders, corresponding to 1.2% of total supply. In 2020, the BitTorrent Foundation will airdrop 12,870,000,000 BTT, corresponding to 1.3% of the total circulating supply, and over the next six years, the percentage airdropped will increase by 0.1% per year, reaching 1.7% in 2025. To reward TRON’s long-time TRX holders, the BitTorrent Foundation also plans to airdrop additional 99,990,000,000 BTT, during online and offline events, corresponding to 10.1% of the total circulating supply. If you are holding TRX, you will be eligible for BTT airdrops. All official wallets relaying on TRON’s network and carrying TRX will be eligible for BTT airdrops corresponding to the amount they are holding. No minimum of TRX is required to qualify for BTT airdrops.